Gmail now supports third-party add-ons, both in browser and within the Android app. 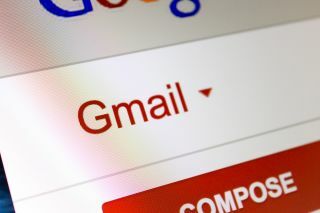 Gmail users will be celebrating after Google finally revealed the first batch of productivity-oriented tools. According to Google’s announcement, the add-ons will work on your Gmail, regardless of if you are a private or an enterprise user. They won’t, however, work in Inbox by Google, Google’s alternative email client. Asana, Dialpad, DocuSign (coming soon), Hire (by Google), Intuit QuickBooks, ProsperWorks, RingCentral, Smartsheet, Streak, Trello and Wrike. The add-ons can be found on the right-hand side of Gmail. According to Tech Crunch, Asana users will be able to bring external services to emails with more ease. They will also be able to see more details about tasks that appear in emails they receive directly from Asana, or other users. These add-ons have been announced during Google’s I/O developer conference in March. Back then it was just a developer preview and Google has, in the meantime, brought in more partners. No dates have been announced just yet. Integrations can be downloaded from the G Suite Marketplace.